From April to July 1994, genocide in Rwanda claimed over one million lives. The survivors continue to face profound hardship in housing, health, education, extreme poverty, and security. The vast majority still suffer from the nightmares of the past. 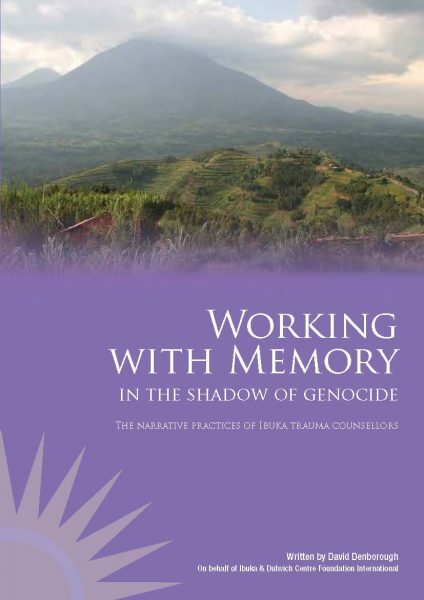 In late 2007, a team from the Dulwich Centre Foundation (Australia) and the Evanston Family Therapy Center (USA) headed to Kigali, Rwanda, to provide support and skills training to 34 trauma counsellors and assistant lawyers, all themselves survivors of the genocide. 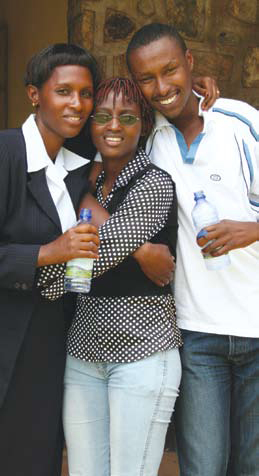 These trauma counsellors and assistance lawyers work for Ibuka – the national genocide survivors’ association in Rwanda. They visit, counsel, and support those who lost family members, those who were assaulted and raped during the genocide, and those who are HIV-positive as a result of these assaults. 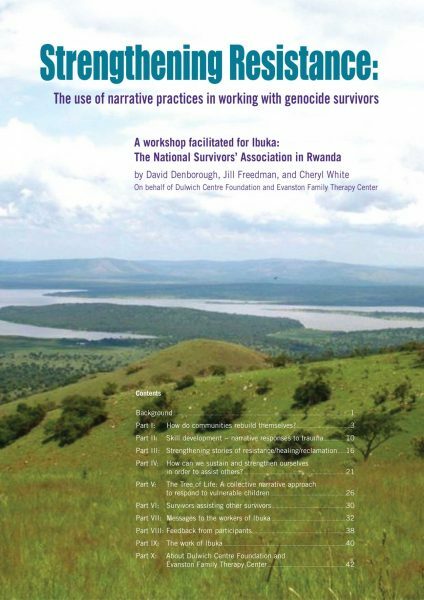 The work that occurred during this training event – practical, culturally respectful, and, above all else, hopeful – is recorded in Strengthening resistance: The use of narrative practices in working with genocide survivors. It describes the ways in which the Dulwich Centre Foundation provided training, documented the skills and stories of workers, and facilitated the exchange of messages of solidarity between the Rwandan workers and Jewish, Aboriginal, and African American counsellors. This book and DVD package has since been used by therapists and community workers around the world who are looking for ways of responding to situations that might initially seem overwhelming. 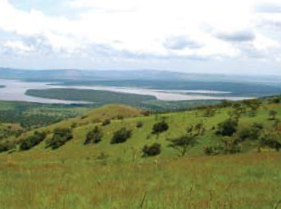 Dulwich Centre Foundation International is continuing to work in partnership with Ibuka.